Earlier this week, I decided to do a wash-n-go — although my first experience wasn’t a good one. Now, I’ve heard there are easier ways to do a wash-n-go (wash, condition, shake hair and go), I heard about another method where you comb a styling product through your hair and let it dry. A little more labour intensive – it took me about 45 minutes and then another four or five hours to air dry. Look how curly and coily! So cute! I'm styling with my shades. Yay for summerlike weather! I feared the knots and tangles that I’ve heard about with wash-n-gos, so I washed and twisted my hair last night because I knew if I didn’t do it last night, it wouldn’t get done until Sunday at the earliest. I don’t mind the wash-n-go — it’s a different look. The only thing I didn’t like is that my hair felt hard… I may have been heavy handed with the gel. 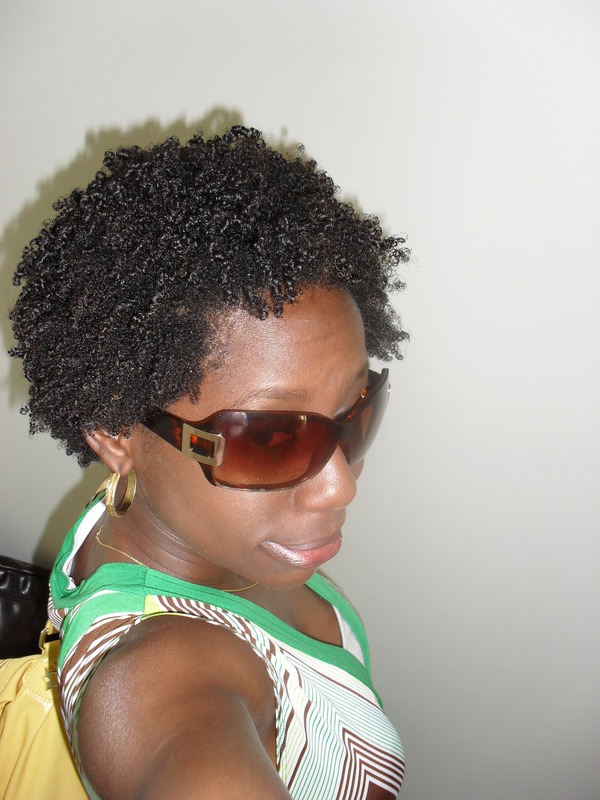 I do have a Miss Jessie’s product that I picked up in NYC that I may try the next time I am brave enough for a wash-n-go. When I do my wash and go, I always do it the day of in the shower. Conditioner [moisturise depending] and shake. I pat dry when I get out -maybe shake a bit more – then I style immediately while still damp – usually pushing back into an afro puff. I find that my hair would dry fairly quickly. 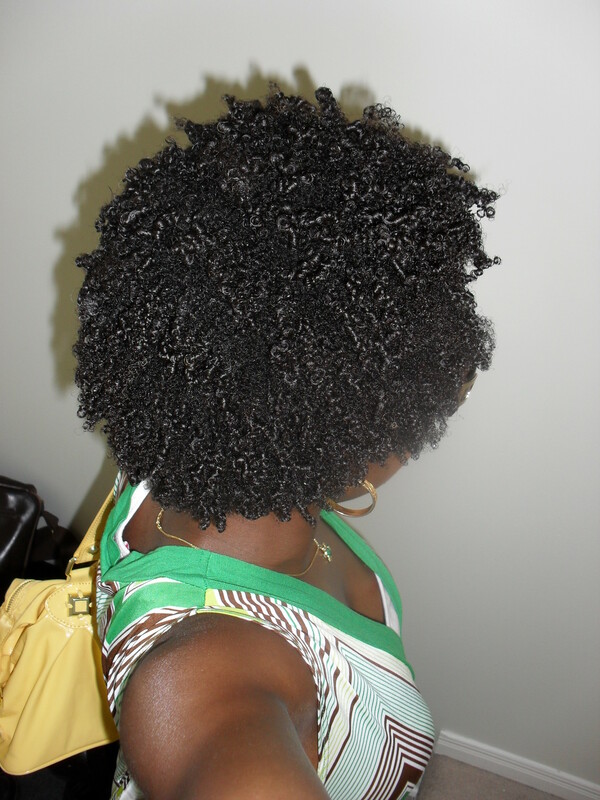 I also then wear it that for the week – and each day as you do the shake, the curls coil up more. Usually I’ll then only detangle my hair weekly or every two weeks, and when I go to do it, I would drench my hair in conditioner and then use a wide tooth comb to detangle. I didn’t find with my hair that I got any knots or tangles. Maybe I’m lucky. Your hair looks cute! Maybe I’ll try your method and see what happens. (BTW, I know the person in the picture next to you! We used to work at the same company — small world, huh?) I don’t believe that my hair is prone to knotting, but from my experience with the dreaded fairy knots and flat twist out tangles, I was a bit worried about tangles and knots… I’m a big scaredy cat anyway.